It's now clear to everyone that Gareth Bale has decided to take the helm of Real Madrid during Cristiano Ronaldo's injury. 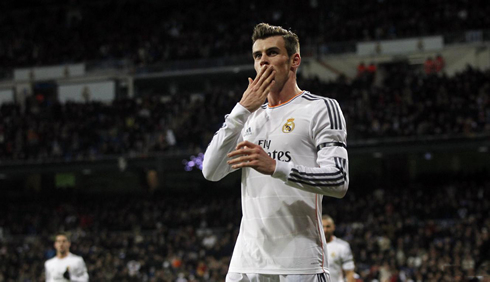 The Welshman scored his first hat-trick for the club and led the Merengues into an easy 4-0 win over Valladolid. Karim Benzema scored the remaining goal, which also came from an assist made by the former Tottenham star. It's hard to find a perfect replacement for a player like Cristiano Ronaldo, but if there's anyone close to emulate his style and talented enough to fill in for him, that player has to be Gareth Bale. The former Tottenham has once again drawn the spotlight onto himself, this time by scoring an impressive hat-trick and adding another assist to his personal count. Real Madrid has easily ran over Valladolid at home and are now hoping to put some additional pressure on Barcelona ahead of their match against Athletic Bilbao, scheduled for this Sunday night. However, that won't be the only interesting game agended for tomorrow, as we'll also have a very promising Tottenham vs Manchester United clash, taking place at the White Hart Lane. After picking up a clear 4-1 win against Galatasaray last Wednesday, Carlo Ancelotti decided to make a few changes to his starting line-up. 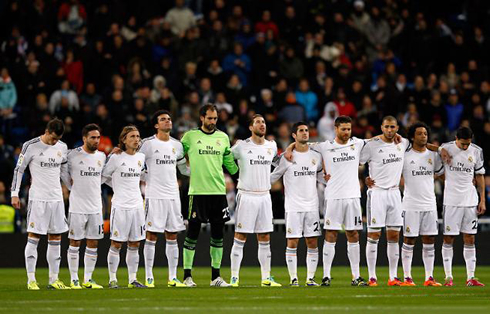 Diego López took over for Casillas on the goal, while Carvajal replaced Arbeloa as the team's right-back. In midfield, Illarramendi and Casemiro made room for Xabi Alonso and Modric, which definitely seems to have endowed the team with more technicality and passing ability in such an important area of the field. Upfront, Jesé stepped out so that Karim Benzema could return to his usual spot, next to his news partners in crime while Ronaldo is injured, Gareth Bale and Angel Di María. Valladolid's resistance would last for roughly 30 minutes, as it was only in the 33rd minute that the home side managed to break the deadlock. Marcelo found Angel Di María with a low pass on the left and the Argentinian made use of his speed to go down the wing and put in a strong cross. Valladolid's goalkeeper Mariño failed to hold the ball and ended up leaving it over to Gareth Bale. The Welshman was quick to react and immediately headed it towards an empty net, to put Real Madrid leading by one. The 2nd half brought us more of what we had already seen in the first 45 minutes. Real Madrid kept controlling the game and setting the pace they wanted, which led for two more goals to be scored naturally. The 3-0 happened in the 64th minute, when Gareth Bale decided to lead an attack through the middle, just before leaving the ball over to Marcelo on the left as the Merengues' left-back was making a run to enter Valladolid's penalty area. The Brazilian wasted no time and slotted a low cross to a dangerous area, which got deflected and felt right into Bale's feet. The once Tottenham superstar kept the cool and struck the ball with his right foot, leaving no chance for Mariño to even attempt to reach it. Everything was turning out to be too easy for Real Madrid this Saturday night, as not only Valladolid was proving to be harmless upfront, but they were also defending quite poorly at the back. The 4-0 arrived very near to the referee's final whistle, as we were already playing the 89th minute of the match. The sketch of the goal was virtually the same as the previous one, as Bale carried the ball through the middle, passed it to Marcelo on his left and then collected it again for an easy finish in the centre. It was the first hat-trick from Real Madrid's biggest signing of last summer, who now has 9 goals and 6 assists out of the 13 games he has played so far. The idea of facing both Bale and Ronaldo on top form is definitely a frightening thought for most of Real Madrid's upcoming opponents, but the truth is that we won't be seeing the two together, at least not until December 10, against Copenhagen. Ronaldo keeps recovering from his left thigh injury and since the only game Real Madrid has agended before the upcoming Champions League Matchday #6 is a Copa del Rey fixture [against Olimpic Xativa] and for which the Portuguese player is suspended, CR7 still have at least 10 more days of rest before playing another game for the Merengues. Attackers: Gareth Bale, Angel Di María, Benzema. 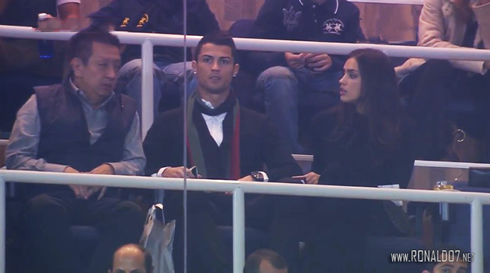 Cristiano Ronaldo next game will be for Real Madrid against Olimpic Xativa for the Copa del Rey, next Saturday (December 7, 2013). You can watch Juventus live stream, Olimpic Xativa vs Real Madrid, Athletic Bilbao vs Barcelona live, Tottenham vs Man Utd and Hull vs Liverpool, all matches provided from our sports live streaming section.